The UK housing market depression continues as Labours election bounce has long since evaporated, many home owners relieved that the house price crash had stopped during early 2009 had put their plans to sell on the back burner as they envisaged a return to the 'norm' of rising house prices, this expectation continued even after the coalition government took office and announced unprecedented spending cuts and tax rises during mid 2010, and scheduled to start from April 2011. Confirms existing conclusion for a continuing depression with prices drifting lower towards new bear market lows due to over hang of supply as many sellers repeat the mistake of not valuing their property inline with what the market will bear. Conclusion - GDP Growth trend analysis points to a continuing depression in the UK housing market for the next 3-4 years, with the most probable outcome being for a gradual shallow drift lower in prices over the next 1-2 years (6-12%), followed by a further 1-2 years of base building. Is this a good buy point for the DOW ? Looking at your chart at page 49 of the e-book I would think so. Christel, i think now that the QE2 tap is being turned off, you should see the DOW heading south. Based on your article, it is appropriate to offer 20% less than the asking price? Or 30% less? (-20% unrealistic asking price, -10% as people always offer lower than a proper asking price). as always the equation at play is how much does one want the property, if it's ones dream house than to secure it perhaps one should not play russian roulettem, whereas on second or third choices one could offer 10% or less. Remember sellers are not mentally geared towards accepting very low offers, instead will fall into the trap of chasing house prices ever lower. Do you see interest rate rises further affecting house prices over the rest of the parliament? Guess I was expecting a lot more pessimism with your IR forecast removing affordability on top of inflation effects. 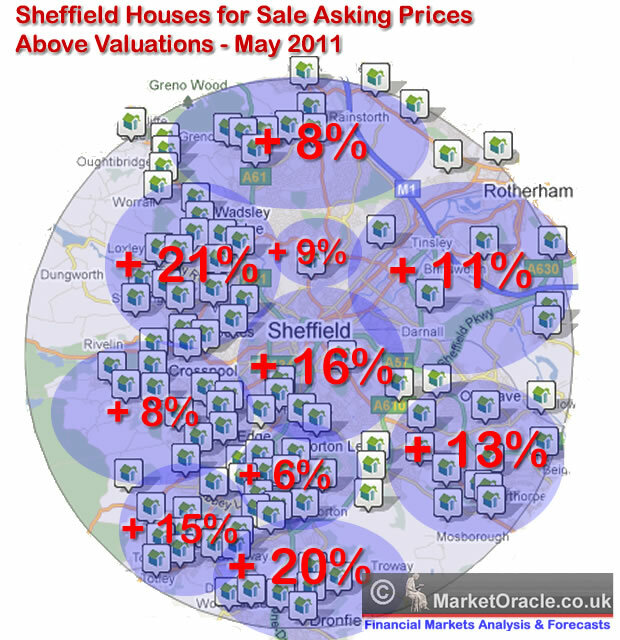 What websites do you use to get the house price valuations in the UK? Thanks. So am I right in thinking that house prices will decrease by 6%-12%, in nominal terms, over the next year and inflation will also eat our buying power?? so effectively it will make the decrese even bigger?? This is just the first analysis of a series, with a view to coming to a detailed trend conclusion, hopefully within the next 5 weeks. The 6-12% projection is of Sept 2010 (last series of analysis). 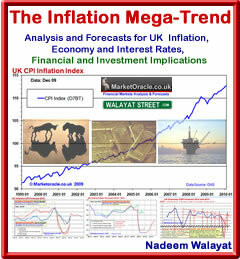 My next analysis will specifically look at inflation and house prices, due by the weekend. the obr are predicting private debt to rise from £1.5trillion to over £2trillion as part of their growth forecasts - yes, the ones that continue to be revised down. I was gobsmacked by this projection thinking that we had mass debt saturation. Do you have an opinion on it from your forecasting? Is it likely or even possible? I couldn't work out if it was a by product of inflation, or rising interest rates or a strengthening economy giving confidence? surely such debt would not be stimulating, but a real brake on growth? thx. really look forward to your work. I reckon sellers are bouyed up by their own self-delusion. All the time they have a house for sale at (over-valued) price x., they can kid themselves into believing they are better off than they really are. It's clearly a huge temptation for sellers to do this as it makes them *feel* wealthier. Of course, reality eventually prevails (as it always does) and like you say, these delusional sellers will end up much worse off by their refusal to accept a realistic, lower price at the outset. The increase in asking prices we are seeing is based on Pollyanna, pie-in-the-sky valuations, not as a consequence of increased demand or interest. Most of these homes will simply not sell.